Have you been thinking about taking your life on the road or wanting to take a cross-country adventure in style? If so then you need to head to the Airstream dealership near you in Wisconsin and see one of the many new and used campers for sale in Wisconsin. Here at Ewald’s Airstream of Wisconsin we had a diverse inventory of new and used Airstream campers for sale. Here at Ewald’s Airstream of Wisconsin we had a vast selection of new and used Airstream for sale including several Airstream Bambi trailers for sale in like the Airstream Sport and Airstream Nest. At this Airstream dealer in Wisconsin, we also have a team of friendly and knowledgeable people who are happy to answer any questions you may have about one of the many new and used cars for sale. Which is why we have a team of friendly and knowledgeable people who are happy to answer any questions you may have about one of the many new and used travel trailers for sale here in Wisconsin. That includes questions about one of the Airstream Bambi campers for sale like the Airstream Nest for sale here at Ewald’s Airstream of Wisconsin in Franklin, WI. This Airstream camper for sale is there for anyone looking to get lost and take the path less traveled while still having everything you need to feel right at home. The Airstream Nest is sure to turn heads with its all-new style and features. 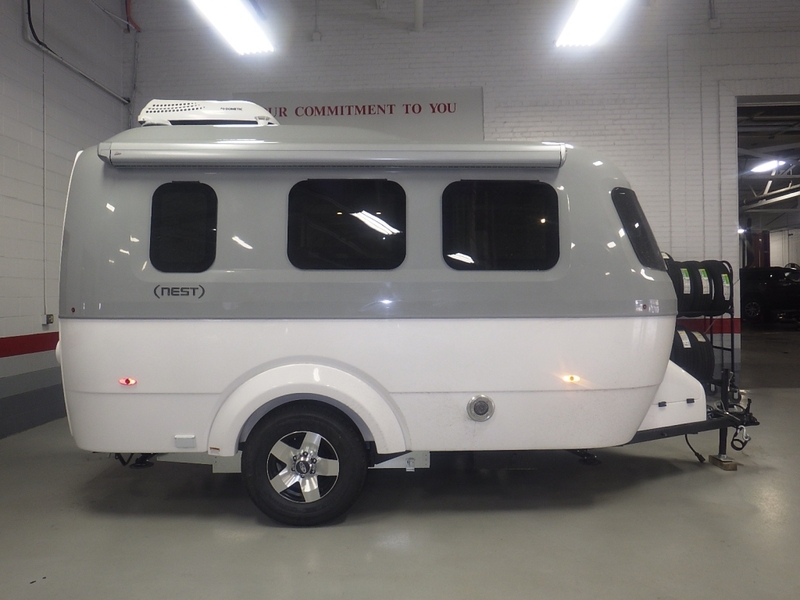 Unlike many of the other Airstream Bambi trailers this Travel trailer for sale is made of fiberglass make it even lighter and fuel efficient than ever before. 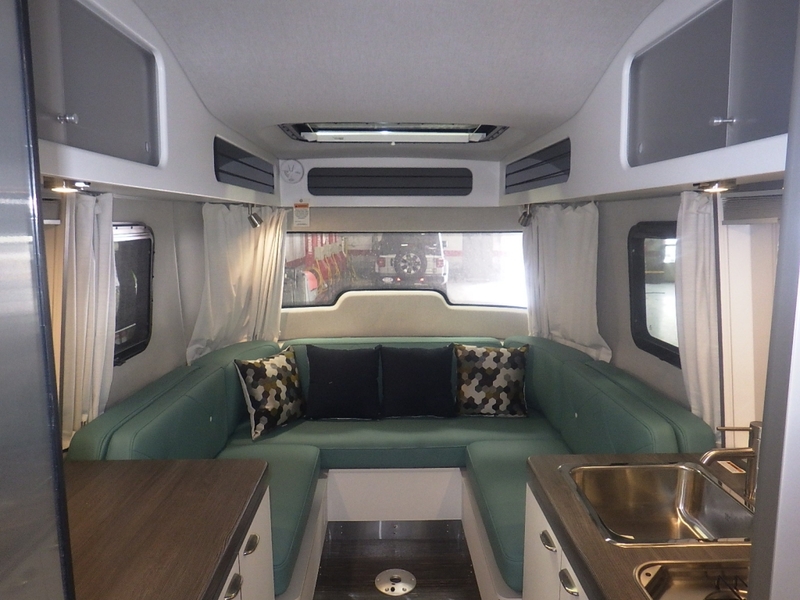 This camper for sale in Wisconsin comes with many hidden storage features throughout this camper for sale allowing you to bring all of the comforts of home with you. The Airstream Nest is made for those looking to get lost in the great unknown while still having all the technical features you can dream of when it comes to traveling in style. The Airstream nest for sale comes with Bluetooth technology for everything from the surround sound speakers to the dimming lights and even the thermostat.